Description: Ryan started collecting in the early 2000's when the stadium giveaway (SGA) craze started to pop up around the U.S.A.
Other Information: Ryan was a huge Manny Ramirez fan and has collected every SGA produced of him. 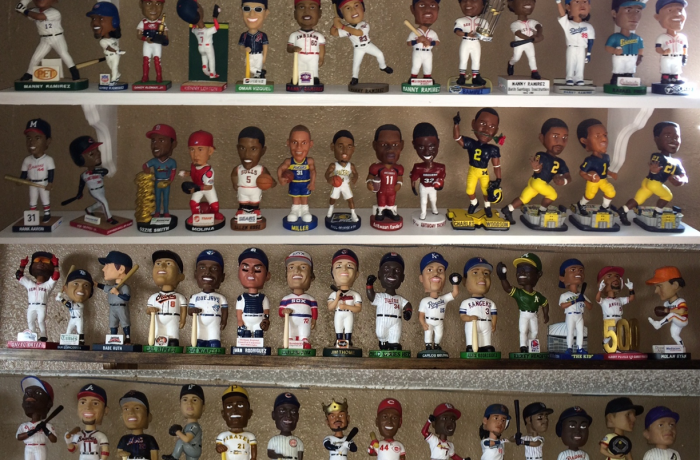 He recently completed a collection of a bobblehead from every MLB team with most of those being SGAs as well. Each year, Ryan's Cardinals' SGA collection grows considerably.